Letitia Colombani’s The Braid is one of those elegantly structured novellas that manages to pack a great deal into fewer than two hundred pages. Three women’s stories intersect in a way that none of them can imagine when the book begins. They will remain unknown to each other yet each will have played a crucial role in changing the others’ lives. Smita is a Dalit in the Indian province of Uttar Pradesh, an untouchable whose job is to empty the latrines by hand. The ostracism of Dalits from society was outlawed by Mahatma Gandhi yet Smita and her rat-catcher husband continue to be spurned. Smita is determined that her six-year-old daughter won’t suffer the same humiliation and is prepared to go to any lengths to protect her. Giulia works for her father in Sicily, preparing hair for wig makers in a family business that has been established for generations. When her father is left comatose after an accident, Giulia discovers that all is not what it seems with their finances. Her Sikh lover offers a solution which isn’t welcomed by everyone. Sarah is a partner in a Montreal law firm, a position hard-won and at great cost. She never mentions her children at work, hiding domestic difficulties and maternal guilt behind a mask of calm capability. Illness cannot be countenanced. When Sarah finds she has cancer she tucks the knowledge away, scheduling her treatment to fit in with work. Colombani uses the conceit of telling the stories of Smita, Giulia and Sarah through a wig maker, interweaving their three separate narratives into a braid. It’s a device that works well: the wig maker makes a brief appearance at the start and end of the book with the occasional interpolation in between. Each of the stories explores the societies in which these three women live: Smita’s abject poverty, locked into a caste system sustained by corruption and lack of education; resistance to Giulia’s innovation in traditional, male dominated Sicilian society; Sarah’s discovery that the glass ceiling hasn’t been entirely shattered in her intensely competitive law firm where loyalty counts for nothing. All three women changes their lives for the better on their own terms, facing apparently insurmountable problems with courage and determination. It’s a heartening story, fable-like in its telling but not sugar-coated, and an appealing one. Proof, yet again, of the power of the novella – not that I needed it. This entry was posted in Reviews and tagged French contemporary fiction, French fiction in translation, Laetitia Colombani, Louise Rogers Lalaurie, Picador Books, The Braid on 20 March 2019 by Susan Osborne. I reviewed Hubert Mingarelli’s A Meal in Winter here quite some time ago now but it’s stayed with me. Its premise is simple – three German Second World War soldiers share a bowl of soup in an abandoned hut and are interrupted by a Polish hunter – but its exploration of the horrors of war is extraordinarily powerful. First published in French in 2003, Four Soldiers explores similar themes this time against the backdrop of the Russian Civil War in 1919. A company of Red Army soldiers in retreat from the Romanians is ordered to make camp as winter closes in. Four of the soldiers form a tightly bonded group over the ensuing months, unofficially led by Pavel. Kyabine is the brawn of the group, big strong and obsessed with tobacco. Sifra is quiet and diffident, adept enough to reassemble his rifle blindfolded, but it is to Benia that Pavel turns for consolation each night when his nightmare recurs. With the advent of spring, they’re ordered to burn their hut where they’ve played so many games of dice, gambling away the tobacco which Pavel finds ways of passing back to Kyabine, kissing the watch containing the picture of a woman with which they each takes a turn to sleep. They stumble upon a pool near their new camp which becomes the calm centre of their days. A young boy is assigned to the four, at first regarded with suspicion, then enfolded into their friendship. As spring wears on the return to marching looms large and with it the end of their peace. The officers stopped to look behind them, hands shielding their eyes from the sun, as if they’d forgotten something. Barely had we finished drinking that tea before we became nostalgic for it. I was filled with emotion because each one of us was in his place and also because it seemed to me that instant that each of us was away from the winter in the forest. And that each of us was also far away from the war that was going to start up again because the winter was over. The end is quietly devastating. While I can happily enjoy a well spun, chunky yarn – Little being a case in point – it’s hard to beat the punch of a carefully honed novella. This entry was posted in Reviews and tagged Four Soldiers, French fiction in translation, Hubert Mingarelli, novella, Russian Civil War, Sam Taylor on 12 October 2018 by Susan Osborne. This is the first novel I’ve read by the famously reclusive Nobel Prize-winning Patrick Modiano. He’s been on my list since I read Victoria’s excellent piece on him at Tales from the Reading Room. He also made a little cameo appearance in The Red Notebook which I read a little while ago and when So You Don’t Get Lost in the Neighbourhood arrived it seemed that this year was set to be my Modiano year. It’s a compelling, unsettling novella about memory and the tricks it plays on us, or rather the tricks we play on it. Author Jean Daragane is startled from the silence of his Paris flat by a phone call. It’s at least three months since the phone last rang, disturbing his carefully maintained solitude. The caller, who identifies himself as Gilles Ottolini, has rung to tell Daragane that his address book has been found. Suspicious at Ottolini’s slightly threatening tone, Daragane agrees to meet him in a café. He’s hardly missed the address book – rarely needs such a thing – and wonders if he should ignore the appointment. When he turns up Ottolini is there with a young, ethereally beautiful woman who calls herself Chantal. Ottolini has found a number for Guy Torstel in Daragane’s address book and wants to pick his brains about the man whose name appeared in his first novel several decades ago. It seems that Daragane’s suspicions may be justified, and all the more so when Chantal rings him at 2 am then turns up with Ottlolini’s ‘dossier’ on Torstel. Odd overlaps between the couple’s story and Daragane’s past emerge. He begins to remember the woman he lived with for a year as little boy, the parade of shady figures who visited her house. What happened there? How did his ‘fickle parents’ come to leave him with Annie who several people knew had been imprisoned? Who were the people who visited at odd hours? Modiano leaves a whole string of questions unanswered in this novella, hardly longer than a short story but packing a powerful punch. 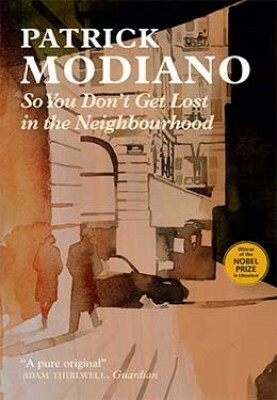 Modiano’s book is quietly understated. Its unsettling tone and shifting narrative leaves the reader constantly on edge wondering what Ottolini and Chantal are up to, then what happened to Daragane as a child. Daragane is the quintessential unreliable narrator, frequently reiterating how flimsy his memories are: drifting ‘away like bubbles of soap or fragments of a dream that vanished on waking’; ‘a faraway voice picked up late at night on the radio’. He can barely remember the first novel he wrote let alone the details of what may have happened over forty years ago but as he tells us ‘In the end, we forget the details of our lives that embarrass us or are too painful’. It’s a perplexing novel, one that will stay with me for some time, I think. It’s not a book to be read if you’re hoping for a solution to a mystery – gripping though that is – more one to read for the elegant beauty of its writing and its reflections on what we remember and what we choose not to. This entry was posted in Reviews and tagged Contemporary French Fiction, Euan Cameron, French fiction in translation, Maclehose Press, Memory in fiction, Patrick Modiano, So You Don't Get Lost in the Neighbourhood on 23 September 2015 by Susan Osborne. A couple of years ago I picked up Grégoire Delacourt’s The List of My Desires to read on a train on my way to meet a friend. It looked a little fluffy but the synopsis was attractive and I thought it would suit if there were no seats in the quiet carriage. I polished it off between Bath and Birmingham. It had lots to say about sudden wealth and the way in which our fantasies can turn sour once realised unless we treat our good fortune with wisdom, all delivered in a delightfully playful style. Delacourt takes a similar tack with The First Thing You See this time turning his attention to our adulation of physical beauty, celebrity and the nature of desire. Twenty-year-old car mechanic Arthur Drefuss lives alone, spending most evenings quietly watching boxed sets or movies. When he hears a knock on his door he hauls himself off the sofa – mid-Sopranos – only to find Scarlett Johansson on his doorstep. Granted she looks a little bedraggled but she’s as stunningly beautiful both in face and figure – about which Arthur has a bit of a thing – as she is on screen. She tells him she’s been visiting the Deauville Film Festival. Desperate to escape the glare of the spotlight for a few days, she’s stumbled upon Arthur’s village, hoping to find someone who would take her in. Of course, it’s not Ms Johansson. Jeanine Foucamprez unmasks herself after a day or so and tells Arthur that she’s longed for him since she saw his kindness to a young girl when modelling for a supermarket advertising campaign. These two are wounded souls: Arthur’s family is devastated by the loss of his little sister, his father taking off one day never to be seen again and his mother taking refuge in drink, while Jeanine has been cursed by her beauty since childhood, abused by her stepfather, endlessly slavered over by men and distrusted by women. Over the course of seven days, these two will find a way to love and trust each other, baring their souls and their hearts. Delacourt uses a lighthearted, mischievous style to deliver quite a punch with his fable-like novel. Jeanine and ‘Ryan-Gosling-only-better-looking’ Arthur are both emotional casualties. She’s a prisoner of the voluptuous beauty which no one seems capable of seeing beyond but has brave hopes for Arthur. Everyone wants her to be their fantasy, sexual, or otherwise, but she longs to be loved for herself. Delacourt’s characterisation is affectionate and funny – PP, Arthur’s boss, likes to look at well-rounded ladies on the internet but is thrilled by the prospect of Arthur finding true love. Both Arthur and Jeanine’s stories are poignantly told but Delacourt avoids the maudlin, keeping his tone light and witty apart from rare moments of sadness. It’s a powerful message which begins with the novel’s title – a meditation on our obsession with beauty, celebrity and the consequences for those lumbered with one or both, delivered in a deceptively simple package stuffed full of filmic references and peppered with poetic quotations. It’s a little gem and it’s been a long time in the offing in translation. Shortly after I wrote this review the Guardian enlightened me as to just why: Ms Johansson was not amused, apparently. 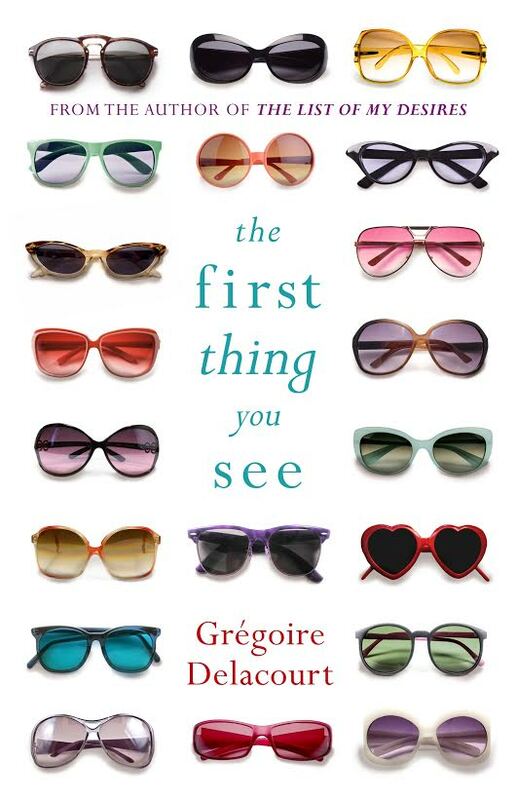 This entry was posted in Reviews and tagged Anthea Bell, French fiction in translation, Gregoire Delacourt, Scarlett Johansson, The First Thing You See, The LIst of My Desires, Weidenfeld & Nicolson on 16 September 2015 by Susan Osborne. The bridge is the brainchild of Coca’s new mayor, John Johnson – aka the Boa – whose trip to Dubai has turned his head. He plans to use it to bring ethanol in from the countryside, earning Coca gleaming green credentials. Even the international consortium which has won the bid to design the bridge is called Pontoverde. The towering red construction with its six traffic lanes, he believes, will catapult his bright new city into the future, burnishing his own reputation as it does so. Workers from across the globe flock to the site including Georges Diderot, engineer and veteran of many grand projects who will run this one, and Summer Diamantis, the only woman on the management team. The bridge takes nearly a year to complete during which affairs will be had, people will die, a way of life will be threatened, strike action averted and an opening ceremony conducted. De Kernagal’s style takes some getting used to – I nearly gave the novel up in its early stages. Its rat-a-tat pace with few paragraphs makes it hard to read slowly but reading too fast means details missed. It’s this pace, however, which gives it an overwhelming feeling of a mass of people working at a furious lick. It brought to mind those astonishing pictures of workers in Sebastião Salgado’s epic series of photographs, grubbing away in a gold mine. It’s also very cinematic: perhaps it was the mention of ‘a modern-day Babel’ in the book’s blurb but that film popped into my head several times. Back stories are cleverly woven through the project’s progress – from the main protagonists to a doorman sending money back to a home he hasn’t visited for many years – all contributing to a powerful impression of a project teeming with a multitude of people from around the world. Striking language reinforces all this, sometimes giving the novel a fable-like quality. Lots to admire, then, and a good deal to think about. I’m still not entirely sure how I feel about the book but it’s undeniably an outstanding achievement, and kudos to Jessica Moore for what was clearly a taxing task in translating it so ably. 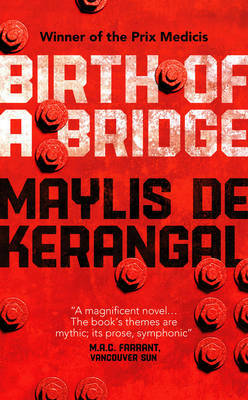 This entry was posted in Reviews and tagged Birth of a Bridge, French fiction in translation, Jessica Moore, Maclehose Press, Maylis de Kerangal, Prix Médicis on 14 August 2015 by Susan Osborne. Back in 2013 I was sent a copy of The President’s Hat. I wasn’t at all sure about it – a bit too much of the whimsy for me it seemed – but it turned out to be one of my favourite books of that year. Not a literary masterpiece but clever, witty and uplifting. So, when I heard that another of Antoine Laurain’s novels had been translated you can imagine my expectations were high. Did the book live up to them? Well, perhaps they were a little too high. Coming home one morning, in the early hours, Laure is mugged – her stylish handbag, filled with precious irreplaceable things, ripped from her arm. She fights back but is dashed to the ground and hits her head, only managing to get up when the thief is well beyond her reach. What to do? Her keys are gone, along with her money. She manages to persuade the night porter of a local hotel to let her stay there but the next day is taken to hospital, unconscious. 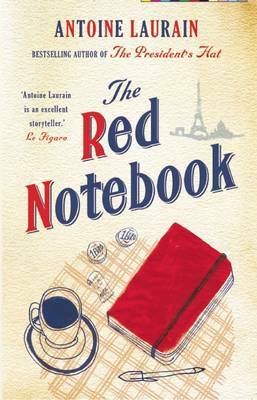 Meanwhile, Laurent, a bookseller – divorced but of a similar age – finds an abandoned handbag and takes it to his local gendarmerie where they’re far too busy to deal with the problem but make a few helpful suggestions. Laurent takes the bag home and looks through its contents, a little squeamish at examining a stranger’s private possessions. In it are a red notebook, some photographs, lip balm, a recipe, a few pebbles, a dry cleaner’s ticket for a dress and a signed copy of Accident Nocturne by the notoriously reclusive Patrick Modiano, to name but a few of the capacious bag’s contents. As he examines these, hoping for clues to their owner’s identity, Laurent begins to feel an affinity with her. He wants to give the bag back but with no name and address what’s he to do? I suspect no one will be surprised by The Red Notebook’s ending but the fun is in how we get there. Laurent proves himself ingenious in his attempts to track Laure down. There are some delightful bookselling passages and a great cameo featuring Patrick Modiano. The novel ventures once or twice into darker territory but this is a book of sweet indulgence, something to curl up with when you need a bit of cheering up. A quick scan of the comments below will show you that Claire from Word by Word can share some light on that Modiano connection, and if you’d like to read her review of The Red Notebook replete with a picture of a luscious handbag just click here. This entry was posted in Reviews and tagged Antoine Laurain, Emily Boyce, French fiction in translation, GallicBooks, Jane Aitkin, Patrick Modiano, The President's Hat, The Red Notebook on 6 May 2015 by Susan Osborne.